Kelly Dawson Author: #SatSpanks NZ Equestrian #spanking romance - 2 year Authorversary!! #SatSpanks NZ Equestrian #spanking romance - 2 year Authorversary!! Thanks for joining me for this weeks Saturday Spankings blog hop. This week, I've got some exciting news - this is my 2nd authorversary!! 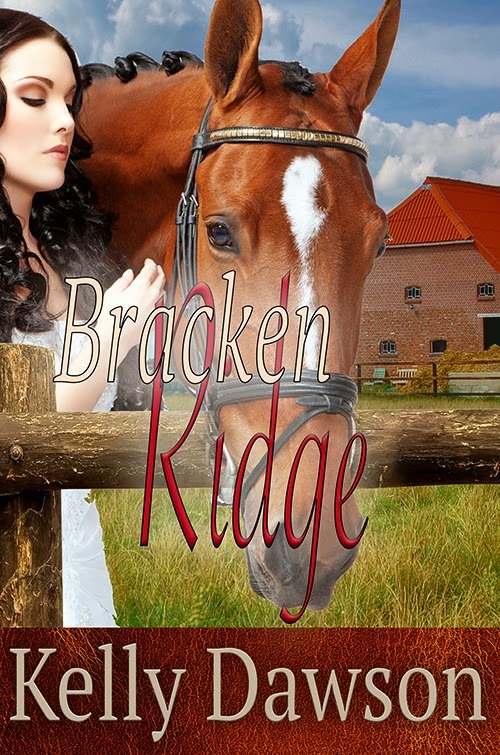 Yes that's right - it's been my dream forever to be a published author and that dream came true 2 years ago this week when Blushing Books published my first spanky novel Bracken Ridge! Jeremy narrowed his eyes at her then kicked the tack room door shut with a bang. Grabbing a stirrup leather off the wall, he pushed her forward over an empty saddle horse and held her down with one hand in the small of her back. Stunned, Anna lay there for a minute without resisting, and then she realised what was going on. She tried to stand up, but Jeremy held her down. “Stay still,” he ordered her sternly. Then he spanked her hard with the stirrup leather. Isn't it wonderful that there is so much leather at a horse barn. Bet it takes a while for her to get the message. Ohhh, I haven't read this one yet. That needs to change, pronto. Hot scene! Thanks Amelia! I hope you enjoy it! Congratulations on your authoversasry! Your first book sounds marvelous. I'm a sucker for horses - add an alpha male and good spanking to the mix. Well I simply must have this book! Thanks Libby, I hope you enjoy it! Great snippet, Kelly, and congrats on the authorversary!